Proudly, at the invitation of Gérard Goodrow, I take part in this exhibition in the project space Kunstraum Descartes in Düsseldorf. I was born, and the Greek artist / photographer Christophoros Doulgeris. 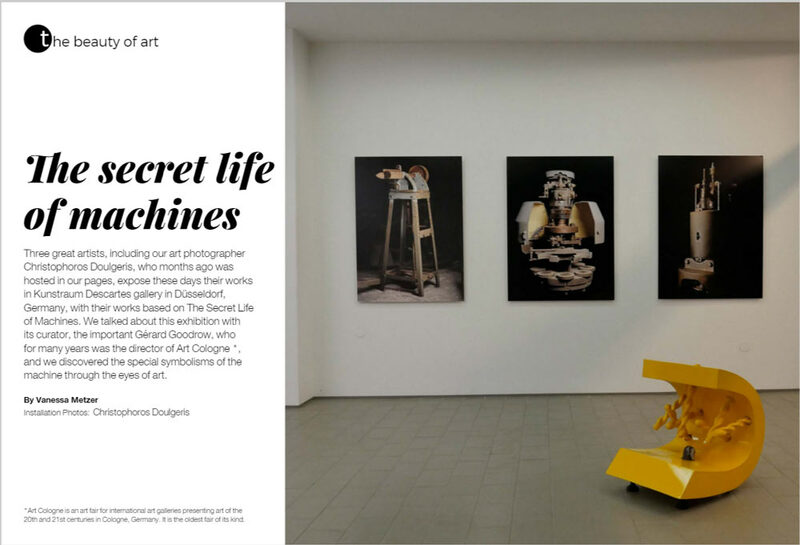 The common denominator in this exhibition is “the machine”. Vernissage: friday March 10 from 19.00 till 22.00 hrs. Great article by Vanessa Metzer in IQ click here ! Short film impression click on the button. Saturday 15 till 17 hrs.